( A typical Irish cheese board would feature aged cheddar, Cashel Blue farmhouse cheese, Dubliner and Blarney Castle Irish cheese with good bread and chutney. This menu from Darina Allen is in Saveur. 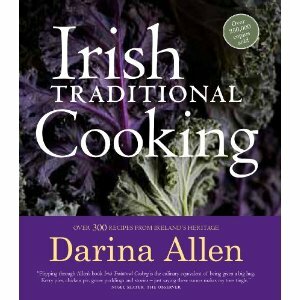 Ms. Allen is the author of Irish Traditional Cooking: Over 300 Recipes from Ireland's Heritage (London: Kyle Books, 2012); the page numbers relate to that book.